October 19-20, 2019 20th Annual Sedona Rock, Gem & Jewelry Show On Saturday, October 20 10:00 am – 5:00 pm, Sunday, October 21 from 10:00 am – 4:00 pm at Sedona Red Rock High School off SR 89A at 995 Upper Red Rock Loop Road. Admission $3, Children under 12 are free with free parking. Forty-five vendors, dazzling Crystals, alluring Amethyst, amazing Agates, unusual Minerals, rare Fossils and Meteorites, custom Jewelry, gorgeous Gemstones, Beads, hourly Raffle Prizes, Kids Adventure and more. Food and beverages available. 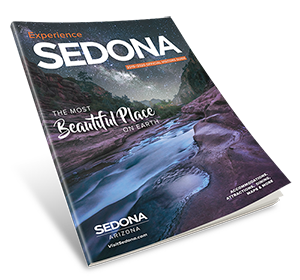 Event benefits the non-profit Sedona Gem & Mineral Club.